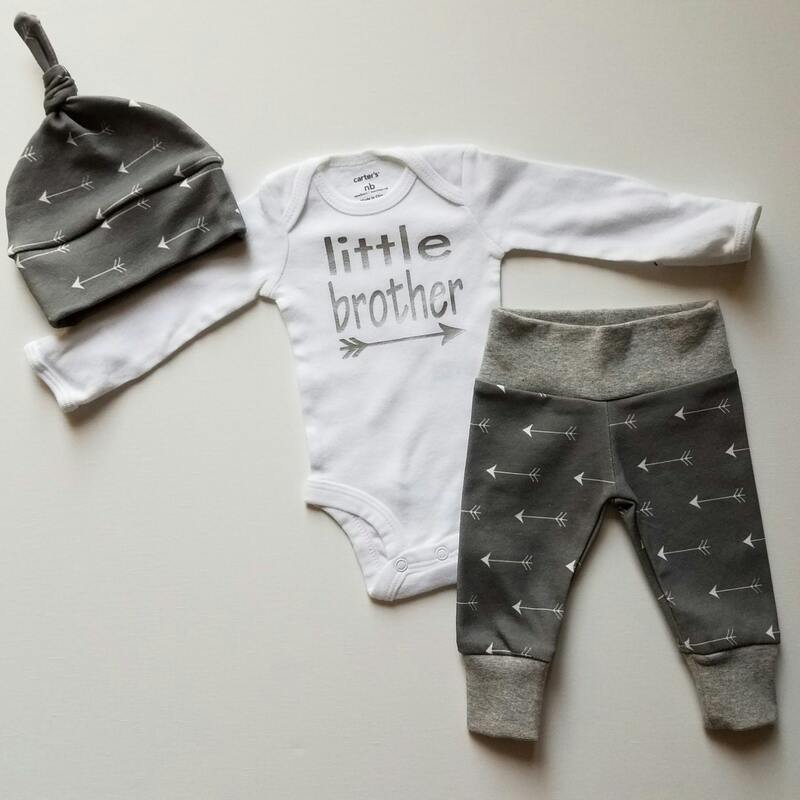 Baby Boy Newborn Take Home Outfit. Little Brother. Stars and Arrows. Organic Leggings. Gender Neutral Take Home Baby Gift Set. PLEASE NOTE: The black in this is a smokey charcoal gray. It has a faded look to it. This is due to the printing process being more organic. All fabrics are washed and dried before I work with them so very little to know shrinkage should occur when you wash.
Little Brothers are the best! Leggings are an organic interlock cotton knit charcoal with white arrows. Personalization on this shirt will be the name under the arrow. If ordering personalized please leave name in notes section at checkout. If ordering a Big Brother/Big Sister T. Please leave size info in the notes section at checkout. Big sibling T's are made to match the onesie style you are ordering.